During this program we will explore our most well-known butterfly. We will learn about it’s amazing migratory lifestyle and all of the hardships it endures during its life. 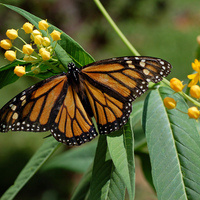 We will also discuss why milkweed is so important to its survival.